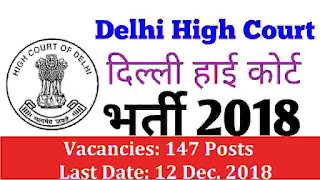 Note: In continuation of this High Court's notice published in various newspapers on 14TH Nov. 2018 whereby 50 vacancies have been advertised for Delhi Judicial Service I Examination-2018, it is hereby notified that the number of vacancies for Delhi Judicial Service Examination-2018 may now be read as 147 vacancies instead of 50 vacancies. Pay Band: Level-10 of 7th CPC Pay Matrix Rs. 56100 - 177500. · For General/UR candidates Application fee is Rs. 1000. · Rs. 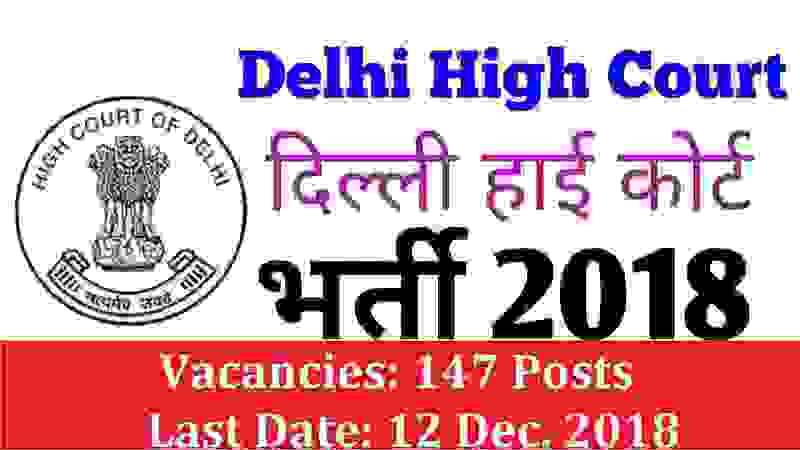 200/- for SC/ST/PH.